Bank Owned Homes | Find Bank Owned Properties for Sale Now! The term "bank owned" refers to when a property goes through the foreclosure process (due to delinquent payments) and is acquired by the lender (after the property does not sell at auction). This property then becomes a bank owned foreclosure, which is also commonly referred to as an REO (real estate owned) home. More often than not, these bank-owned properties are marketed to the public by a real estate agency that is hired by the lender. When searching for bank owned houses, you are merely searching for foreclosures - the property is simply owned by the bank and therefore the bank is the seller. One reason that people are interested in purchasing a bank-owned home for sale is due to the potential savings, since most bank-owned properties can be purchased below market value. When making an investment decision, investors are concerned about their profit margin; therefore, the better discount they get on the property, the better likelihood of a higher return on investment. When a property is put up for auction, the asking price is usually the balance of the mortgage plus any associated fees. The bank will have representatives at the auction who will bid this amount. If this amount is exceeded by another buyer, then the property is purchased at auction. If the opening bid is not exceeded, then the property becomes a bank-owned home. More often than not, the bank will turn the REO home over to a real estate agency that they work with on a regular basis for similar situations. Then, the home is typically listed for "fair market value" taking into consideration not only how much is owned on the property but also the current real estate market. One of the best ways to find bank owned foreclosed homes is to utilize online foreclosure listing services. Within minutes, you can access bank owned listings across the country. Plus you can narrow down your search based on location, property specifications (i.e. number of bedrooms or bathrooms), etc. With these bank owned property listing services, finding the perfect bank owned property for sale is easier than ever. If you have been wondering how to buy bank-owned foreclosures, then it is important for you to understand the buying process as well as documents that you will need. Step 1: Get pre-approval for a loan. The first step in buying a home is obtaining pre-approval from your lender. The pre-approval level will help you know the maximum amount of money that your lender is considering approving you for and therefore gives you a budget to work within. Step 2: Find the foreclosure property of interest. The second step in the process is to utilize foreclosure listing services to find bank-owned properties of interest. Step 3: Consider obtaining a real estate agent or broker. If you are a first-time home buyer or you are not familiar with the process of purchasing foreclosure properties, then you may wish to obtain a real estate agent or broker to help you navigate the waters of buying a home. 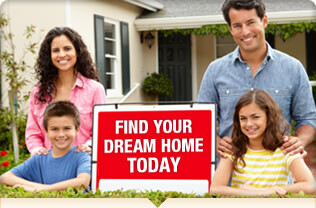 It is best if this agent or broker has experience with foreclosures. Step 4: Contact the listing agent. When you search for foreclosures with bank-owned listing services, then you will be able to not only obtain pictures of the property and key information, but you will also be able to find out contact information for the listing agent. This agent is the next step in the process - connecting with the agent is essential for everything from getting to see the property in person to understanding more about the property. Step 5: Calculate the total cost of the investment. If you are looking to purchase this property, it is important for you to determine the estimated cost of repairs and take that number into consideration when deciding to pursue the property further. After you have done the math and determined whether or not the property is truly a good investment opportunity, then you move on to step six. Step 6: Do a title check. When purchasing foreclosure properties, it is important that you check the property’s title to make sure there are not any liens on the title that you would be responsible for if you purchased the home. Step 7: Secure funding. If you have decided that you are truly interested in this property, then it is essential that you secure funding. Step 8: Make an offer. After you have completed the steps above, it is time to make an offer. As mentioned above, bank-owned homes simply refers to the fact that the property is in possession by the lender after the foreclosure process is completed. Therefore, there is a variety of types of bank foreclosures that can be found on the market, including but not limited to bank owned commercial properties and bank owned condos for sale. From single-family homes that are perfect for investing to other discount properties such as commercial foreclosures, a quick search utilizing a foreclosure listing service can help you find cheap properties that are currently on the market.